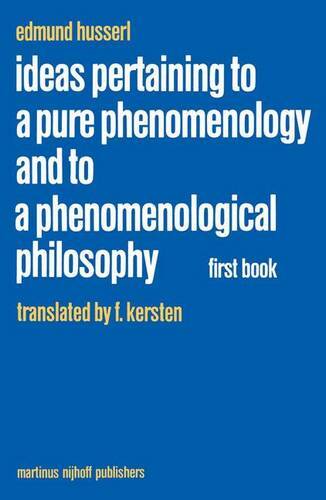 the Logische Untersuchungen,l phenomenology has been conceived as a substratum of empirical psychology, as a sphere comprising "imma- nental" descriptions of psychical mental processes, a sphere compris- ing descriptions that - so the immanence in question is understood - are strictly confined within the bounds of internal experience. It 2 would seem that my protest against this conception has been oflittle avail; and the added explanations, which sharply pinpointed at least some chief points of difference, either have not been understood or have been heedlessly pushed aside. Thus the replies directed against my criticism of psychological method are also quite negative because they miss the straightforward sense of my presentation. My criticism of psychological method did not at all deny the value of modern psychology, did not at all disparage the experimental work done by eminent men. Rather it laid bare certain, in the literal sense, radical defects of method upon the removal of which, in my opinion, must depend an elevation of psychology to a higher scientific level and an extraordinary amplification ofits field of work. Later an occasion will be found to say a few words about the unnecessary defences of psychology against my supposed "attacks.